Ancestral Quest makes backups as a precaution, to protect us from hardware failure, and also as a way to make files smaller, for attaching to emails. It can backup both the PAF file format, and the Ancestral Quest format. We will discuss only the .aqz backups. Users sometimes overlook the fact that they have some control over how the backup file will be named when it is placed on the backup device. The ability to control the name, also gives us the ability to change our backup file strategy. Let me explain what that means. Suppose I receive a GEDCOM from a relative. I restore my existing file, and I foolishly import the GEDCOM into my file. I merge some of the records from the import with records of the same individuals in my file. I add a few new pieces of information, and I make a backup when I finish working in AQ for the day. On the next five days, I work on my file, and faithfully make a backup after each session. That is when I discover that most of the GEDCOM file I imported contained records of the family of the spouse of my relative; thousands of them. Whether or not I can recover by restoring a backup will probably depend upon how I name my backup files. How can that be? Let me show you, with a different example, how my backup directory would look under the following five different backup naming conventions. 5. Name + Date in yyyy-mm-dd, + Time in hh-mm format. Now let us assume that I have a file that I have been working in occasionally. This year and last, I made backups on eight days. I will show the backup directories as they would appear for each of the five backup file naming strategies. 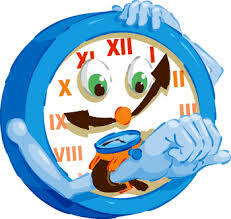 10 January, 2013, at 6:15 pm, 10 April, 2013, at 4:13 pm, 10 April, 2013, at 4:23 pm, 15 April, 2013 at 7:16 pm,10 January, 2014, at 10:49 am, 10 April 2014, at 2:07 pm, 10 April, 2014 at 2:37 pm and 14 April, 2014 at 6:38 pm. Under strategy 1, I have only the last backup that I made. It took the place of a prior backup, because all backups have the same name. Under this strategy, I must catch all problems in my database immediately, if I want to correct them by restoring a backup. Directory lists are sorted as strings of alphabetical characters. In this format, the day of the month gets sorted first, and all months get sorted within the day. The years get sorted within the month. That means that all backup files made on the 1st day of any month in any year will be sorted together, and the months will be sorted within the day. April will sort before August, then December, then February then January July, June, March, May, November, October and lastly, September. 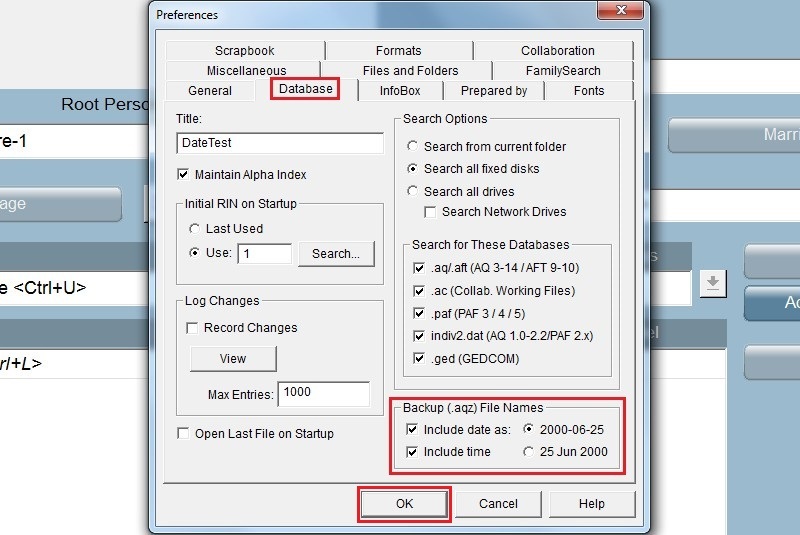 The 2nd and 6th backups in this example were replaced by the 3rd and 7th backups respectively, because the 3rd backup had the same name as the 2nd, and the 7th had the same name as the 6th. There is no logical order in the list. You must search for the most recent backup. Since the time is included in the name of the backup, all of the backups are in the directory, but their order is confusing at best. These are in order, but because the 2nd and 6th backups were each followed by another backup on the same day, the file names were the same, and the first backup from each day was replaced by the second. Strategy 5. Name + Date in yyyy-mm-dd, + Time in hh-mm format. Now all of the backups are in the directory, and they are in order. Notice that the file names are sorted in ascending order. If you click the direction indicator, you can change it to a descending order sort. Strategy 6. Sort in descending order, and maintain a backup directory for each file name. Now you don’t have to search for the most recent backup. It is on the top of the list, and the backups become progressively older as you go down the list. The best part about all this is that you can tell Ancestral Quest to build the backup file name for you. Here’s how. On the Menu bar, select Tools. From the Tools menu select Preferences. Click the Database tab. In the Backup (.aqz) File Names box, put a check in both boxes, and click the 2000-06-25 radio button. Click OK and AQ will form backup file names so that they fall into chronological order. VERY helpful and useable, thank you. In regards to the example used of importing a GEDCOM, what does one do with it if not importing it? Does it always stay as a separate file? Is it necessary to retype all the data? I have not yet experienced a GEDCOM and when I do I certainly do not want to mess up my personal file. I like the way you laid out the case for the options of backups. Now I am starting to actually understand. Your suggestion in class is by far the best one to select. It seems that way you have the ability to retrieve the file that existed before you messed it up with the GEDCOM. Is that right?